Ansons Solicitors has made a raft of new promotions at the firm - including three new partners - following what it described as “a successful year”. 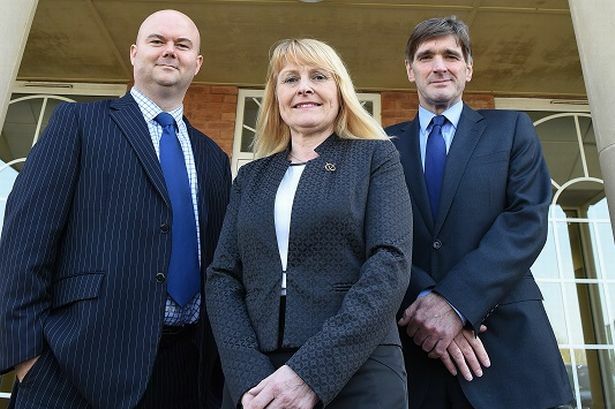 Andrew Johnson, finance and practice manager, Julie Tomasik, head of residential conveyancing and Neil Jones, senior associate solicitor in the corporate and commercial team have all become partners. Mr Johnson overlooks human resources, finance and technology among many other responsibilities at the firm. Ms Tomasik has been involved in conveyancing for over 35 years in Cannock, Lichfield and the surrounding areas. Mr Jones, as a specialist in corporate and commercial law, is well known across the Midlands and is regarded as an expert in his field, with extensive experience in advising owner managed businesses across the Midlands and further afield. In addition Shelly Wainwright, of the wills and probate team, and Adam Penn, head of personal injury, have become senior associates. Further promotions see Laura Pyatt, Rebecca Whittaker and Neil Faunch from the commercial property team, and Laura Lambert from the family department, promoted to associate solicitors. Simon James, senior partner, said “It is down to their dedication, hard work and expertise that the firm has had such a successful year. Ansons Solicitors has offices in Cannock and Lichfield, Staffordshire.